The greatest obstacle for TAG is reaching those in the developing world that are impacted by hunger and poverty. That obstacle has been greatly reduced by the relationship that TAG has established with Mercy Ships. Mercy Ships, an international faith-based organization, has a mission to increase health care delivery throughout the world. Through the deployment of the world’s largest, private hospital ship, the Africa Mercy¸ Mercy Ships works with host nations to help fill the gaps in health care systems while serving the dire and immediate needs of their population. Mercy Ships provides educational opportunities for medical professionals along with a variety of surgical interventions. Collaborating with local and international partners, Mercy Ships offers practical and spiritual support to developing nations striving to make health care accessible for all. Since 1978, Mercy Ships has provided services and materials valued at over $1 billion, impacting more than 2.48 million direct beneficiaries, with over 581 port visits in 57 developing nations and 18 developed nations. A key capacity building program of Mercy Ships is its Food for Life: Nutritional Agriculture Training Project that seeks to improve food security by increasing the farming capacity of partner NGOs. TAG’s goal is to partner with Mercy Ships to attack malnutrition and hunger in the developing countries of service by introducing AP systems technology and education. The Food for Life program aims to assist in improving general health of the people of the service region through teaching sustainable agriculture, nutrition and animal husbandry. Local agriculturists who receive training continue to train others through regional NGOs, greatly multiplying efforts and building local capacity. There are two main components of the training project. The first half involves a 20-week course. The second half involves follow-up assistance as the trainees return to their respective NGO sites to train others. Mercy Ships has an excellent international reputation and well-developed relationships with governmental entities. Mercy Ships train-the-trainer model will enable TAG to connect with those who were trained to develop and monitor the systems. Another advantage is that the countries that Mercy Ships serves are countries that have some of the highest hunger rates in the world, making them a primary TAG focus. A developing world AP model has been tested at Mercy Ships International Operations Center in Lindale, Texas. This introduction sets the stage for Food for Life program management to receive hands-on training to pass on in the field environment. TAG personnel have recently returned from conducting a one-month training program in Madagascar, which is the location of Mercy Ships Food For Life 20 week field service program. Training included conducting the AVAHA 40-hour classroom course to 31 trainees. TAG helped supply equipment and constructed two AP systems. Two people will go on additional follow-up trips to ensure the operation and expansion of the technology. 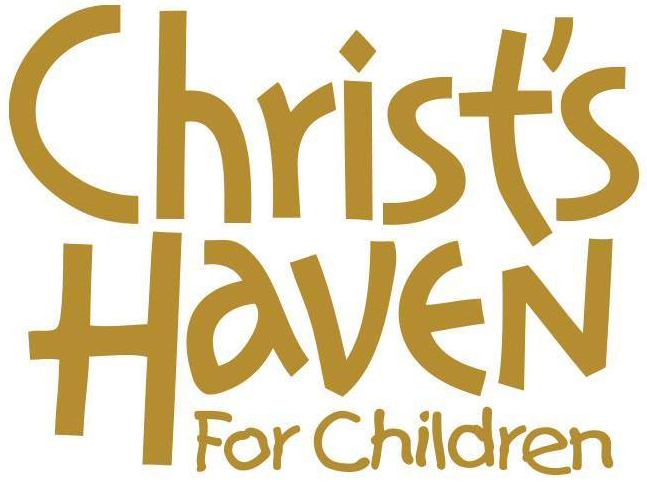 TAG has partnered with Christ's Haven for Children, a faith based, 501c3 organization that provides a warm, loving, Christian environment in which children in need of basic care can grow physically, emotionally, and spiritually to become productive citizens in society. TAG's greenhouse at Christ's Haven for Children is our Targeted Aquaponics Growth Research Training Center. We are proud to announce our partnership with Christ's Haven for Children, and we look forward to providing nutritious fruits, vegetables and fish for the children living on the property. In 1954 Homer and Lillian Steadman purchased a large home at 1632 East Vickery Boulevard in Fort Worth, Texas to provide a home for disadvantaged children. Within a very short time, the Steadmans had ten children in their care. Realizing that the need was greater than the space they had available, the Steadman’s began looking for a larger place to build cottages and provide a traditional home life for more children. In 1956 the Steadman’s, along with many other interested families, purchased a farm in Keller to house Christ's Haven for Children. Today Christ's Haven for Children has seven cottages, a Community Enrichment Center, a transition house, a gymnasium, chapel, and ranch program. The home cares for 40 children on the campus as well as children in foster care off the campus in homes in the Metroplex. The children receive medical and dental care, counseling, and tutoring as needed in a warm and loving home under the care and guidance of full-time house parents. Through the years at least 5000 children have been served by this program. Those who move on, usually become responsible citizens in society, giving testimony that Christ's Haven for Children made a tremendous difference in their lives. TAG partnered with Pastor David Onzimas of Calvary Chapel Church in Arua, Uganda. TAG built an aquaponic system to provide food and fish to the street children and the church community. TAG collects pertinent data in exchange for the use of land at Calvary Chapel. Pastor David started his church on a street corner in Arua and has been taking in abandoned boys and girls who have been living on the streets. TAG's location in Arua provides nutritious food for these kids.